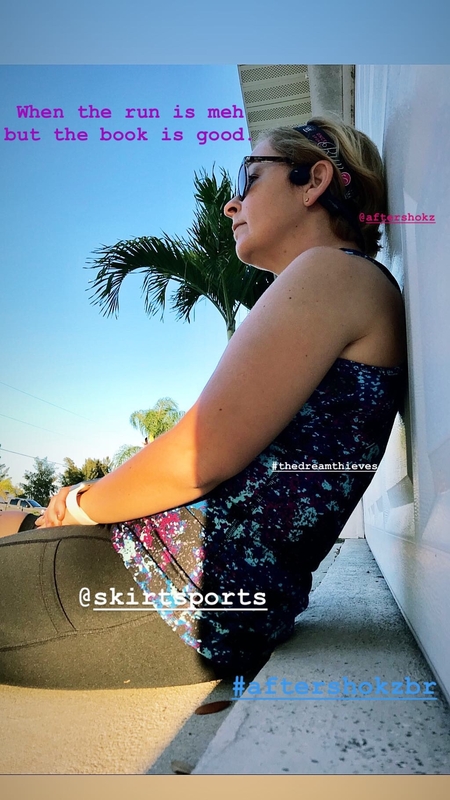 Disclaimer: I received an AfterShokz Trekz Airs to review as part of being a BibRave Pro. Learn more about becoming a BibRave Pro (ambassador), and check out BibRave.com to review find and write race reviews! 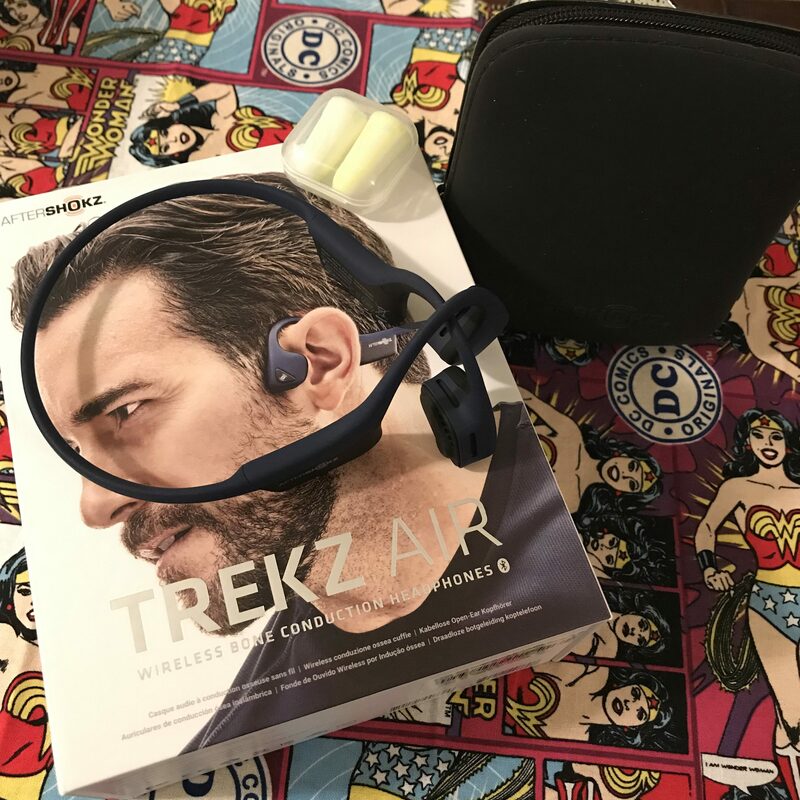 I cannot tell you how excited I was to receive a pair of AfterShokz Trekz Airs to try out! I love BibRave and the chance to get to try out new (to me) products. The search for the perfect headphones has been on for years it feels like. Once I discovered Bluetooth and wireless headphones the game changed, but there is always something that just isn’t right about them. This case is awesome! I’ve been carrying them around for days! When I first slipped on the Trekz Airs I noticed how light and comfy they fit. I was worried they would be too big and had considered purchasing the mini, but these are perfect! They are smooth, lightweight, and form-fitting, but not too tight. While I don’t quite understand the science of it all, I was definitely a little skeptical about not having a headphone that actually goes in the ear. I am, however, a fan. A huge fan! I played around with these for a few days just wearing them around the house while listening to books and doing housework. A couple of times, on my Target or grocery runs, I grabbed my Trekz Airs and wore them around the store! I’m a bit of a socially anxious person and having something occupy my mind but still allow me to hear my surroundings was a huge help. I’ve been running, working out, and listening to my favorite series with these babies. I’m impressed! I did manage to take these babies to more than just the grocery store, though! A couple of runs and workouts later and I’m totally a believer. These headphones are no-slip and sturdy, but the most important thing is that they allow you situational awareness. I feel safe running around my neighborhood, but a recent jaunt around the park really brought a lot of things to my attention. I could hear everything! From cyclists to fellow runners to every little lizard scuttling around on the ground. Oh, and squirrels! I could hear…Every. Single. Critter. 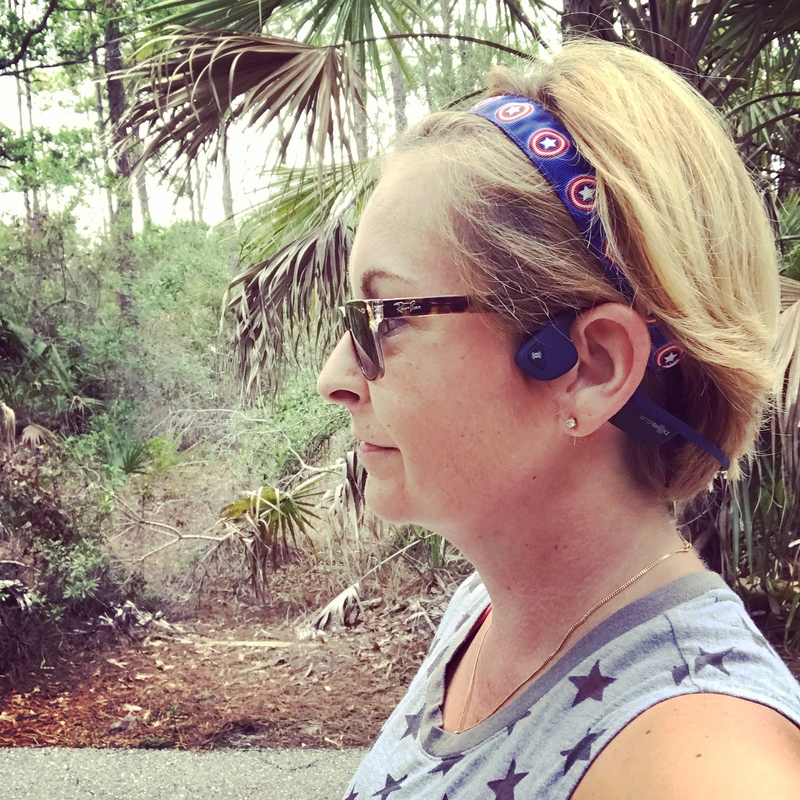 AfterShokz has done a great job with this product and I’m thankful I got to try it out. The search for the perfect headphones is over! Check out AfterShokz and use the code “BRBUNDLE” for $50 off!